The most iconic film still from “The Godfather” with Al Pacino. “There are no small roles, there are only small actors” ~ The motto of the Moscow Art Theater. Directors and actors frequently talks about certain objectives when they work on their scenes. These tools have more than 100 years history. Let’s explore them. Prior to Stanislavski, an actor’s job was to portray a certain emotional cliché on the director’s command. There was a list of specific gestures, facial expressions, body language samples and emotions that the actors had to learn and perform perfectly. Theater was based on Result-Oriented directing, in which the directors asked for a certain final expression from the actor (e.g. “cry,” “laugh,” or “be angry”). Acting consisted of strained line readings with overacted emotions. You can still see this in low-grade movies and TV shows. (3) The Art as a Craft. The Art of Performance is an older technique, in which actors were trained imitate various emotions and reactions. But as noted by Stanislavski and his followers, a play or film based on the Art of Performance usually leaves the audience uninvolved and uninterested. 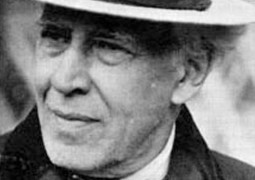 Stanislavski brought The Art of Living into the theater, which helped audiences become deeply and personally attached to plays. The Art of Living is the opposite of the Art of Performance. The Art of Living is not just a depiction of the external manifestations of thinking and feeling, but the creation of a scene by depicting the inner lives of the characters and infusing the characters’ alien lives with the actor’s own human feelings. Human behavior is grounded in the reality that our emotions are spontaneous and uncontrollable. This principle should be considered the fundamental axiom of directing and acting. A director offers a specific direction to the actor in order to stimulate spontaneous, life-like emotions. If actors and directors had to rely on just one technique to achieve this, the best tool would unquestionably be the OBJECTIVE. An OBJECTIVE is a character’s innermost intention. Directors and actors use this tool most often because it is so universal and versatile. In our everyday life we pursue various goals. Generally, we don’t purposefully demonstrate our emotions. When we go to a workplace or supermarket, we have a particular objective, and our emotional reactions unconsciously proceed from that objective. We do not usually plan when to laugh or when to cry, and everyone knows the difference between a fake smile and a real one. Our sincerest feelings pop up spontaneously. Any attempts to copy human reactions look disingenuous. When considering the idea of an objective, it’s important to remember that every person has a main intention for their life as a whole, in addition to smaller intentions (or objectives) for the different things they do throughout a day. Let’s imagine the following scenario. Your main goal is to find investors for your great movie. When you arrive at a café, the objective (goal) of your visit is just to have lunch, but you will still keep your primary goal—to gain funding—in your heart. Stanislavski called this main goal a SUPERIOR or SUPER OBJECTIVE. Finding investors for your film is the innermost thing that you are after and it is the baseline of your behavior. Your SUPER OBJECTIVE is almost invisible, but the current objective is more obvious. For example, if you are a lawyer and you go to a courtroom, it is clear that your current intention (scene objective) is to convince the jury that your client is innocent. It is very important to distinguish both types of objectives: a SUPER OBJECTIVE (overall goal) and a SCENE OBJECTIVE (current goal). Directing is just modeling real life situations on a film set or theater stage for actors. In our daily routines we have certain goals to pursue. A director creates a model of natural behavior by giving playable objectives to actors. Directors create an imaginary world for actors by offering them OBJECTIVES, and actors live a realistic life within those parameters. Building a character takes a lot of time—often months and sometimes over a year. Many great directors start to work with actors as early as possible in order to create an exceptional character. Sometimes during these preparations, an actor will say that he cannot play a certain objective or say a certain line from the script because it contradicts with his character. For instance, an actor may say, “my character wouldn’t do this” or “my character can’t say that.” As you may recall from Chapter 8, in which I discussed Marlon Brando’s work in the film On the Waterfront, this is an absolutely normal situation. A correctly chosen objective justifies an actor’s actions and makes the actor’s behavior more realistic. Actors live on the set or stage as ordinary individuals. It is only possible to achieve breathtaking and realistic performances with well-trained actors who can take directions quickly and easily and play them truthfully. An actor’s OBJECTIVES are also closely tied with her CHARACTERIZATION. A SUPER OBJECTIVE is essentially a driver of character. However, the BUILIDING OF CHARACTER (or CHARACTERIZATION) will be discussed separately in my next post. (1) SUPER OBJECTIVE (life need, script through line): the character’s spine or life-goal; it lasts for the whole movie, and it’s less visible. (2) SCENE OBJECTIVE (scene need, scene through line): the character’s need for the scene; it’s current and is most visible. It is not so easy to observe the SUPER OBJECTIVE because it is located deep within the character’s soul, but we can quickly observe the character’s objectives for different scenes. The OBJECTIVE can also be changed during the scene to make the film or theater performance more dynamic. For example, in the beginning of the scene, the protagonist, John, wants to convince Mary to sign a contract. Then, at the end of the scene, he wants to interrogate her. (1) IMAGINATION. Use your imagination to create an objective that works well for the scene. (2) SPONTANEOUS ACTS (IMPROVISATION). The actor plays the scene spontaneously many times until he gets the best outcome. 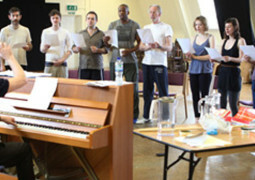 During improvisation the director may notice which time the performance was the best and can ask the actor, “what was your scene objective that time?” Many directors and actors use rehearsal for experiments and improvisations in order to explore scenes and to choose objectives and other directing techniques. Constantin Stanislavski and Michael Chekhov did it in the same way. (3) INTELLECTUAL, LOGICAL ANALYSIS of your script or story. Intellectual analysis is a good way to find a super objective or spine for the whole movie, but most believe that this method is not the best way to choose an objective for an individual scene. The first step in your search for SUPER OBJECTIVES is to do a read-through of the screenplay with or without the actors and then to brainstorm. Dig into the story; read it more than once. This way, you will discover all the specific and general features of your characters and begin to feel how the heroes relate to each other and how they smile, breathe, suffer, love, and think. The director’s job is not only to determine the best choices about SUPER and SCENE OBJECTIVES, but also to find out which intentions work best for a particular actor. Each actor is one of a kind. Objectives that work for one actor can be absolutely useless for another. While choosing objectives, there are many important questions to consider. Can the actor connect to the character? Can the actor understand and acquire the character’s objectives as his own? Can this actor feel comfortable to be in the given circumstances of the character? 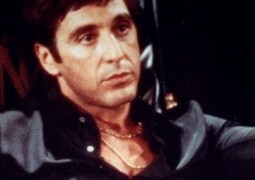 If the actor can’t connect with the character or acquire the character’s objectives as his own, it will be difficult for him to put on a realistic performance. As you know, an audience wants honesty and you want to give them what they’re looking for. There is no truth in a performance when the actor is just taking directions without full acceptance of the character’s background as his own. What you choose as objectives depends on the personality of the actor. Actors should justify the character’s behavior by selecting objectives they can “own.” The same principle is equally applicable to most other directing/acting tools. (1) In the one of first scenes of the famous film One Flew Over the Cuckoo’s Nest, free spirited McMurphy (Jack Nicholson) has a SUPER OBJECTIVE to get out of the facility, even though his plea bargain deal mandates that he has to do time in the mental institution. If McMurphy completes his time without getting in any trouble, he will get out in a very short time. Obviously, McMurphy knows this and he is determined to act accordingly. However, in the one of first scenes, he is very annoyed by the volume of the canned music playing in the facility. Not knowing that it’s against the rules, he enters the nurses’ office to find the source of the music. This is his SCENE OBJECTIVE: to turn down the volume on the radio. So, we have McMurphy’s SUPER OBJECTIVE—to get out the facility—and his SCENE OBJECTIVE—to get rid of the annoying music. Then Nurse Ratched, played by Louise Fletcher, comes in. Her SUPER OBJECTIVE is in complete opposition to McMurphy’s—to keep him in the facility forever. (2) Let’s explore the intentions of Gregory Smirnov in Anton Chekhov’s famous play, The Bear. The Bear is considered to be one of the best one-act plays ever. Protagonist Gregory Smirnov comes into Elena Popova’s house to ask for money owed by her deceased husband. Is his SUPER OBJECTIVE to get the money back, because he has a mortgage to be paid tomorrow? Or is it something else? According to the story, he falls in love at the end of a play. If you look deeper inside the character you may notice that his supreme goal is to find love. His intent is not just to collect money. It would be very simple and weak to assume that his need in life is only to collect the money. Gregory comes to see Elena in person because of his strong feelings for her. Otherwise, he would have sent someone else to collect the money. This is a reasonable explanation for his behavior. His SUPER OBJECTIVE or SPINE is to get Elena to fall in love with him. 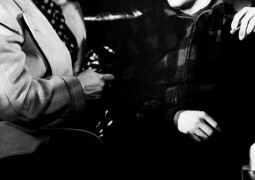 The formula “to get the money back,” can only be the SCENE OBJECTIVE for the first scene when he comes to Popova’s house. (3) If you’ve seen The Godfather, directed by Francis Ford Coppola, you know that Michael Corleone, played by Al Pacino, is in a difficult position when he faces the attempted assassination of his father, Vito Corleone. 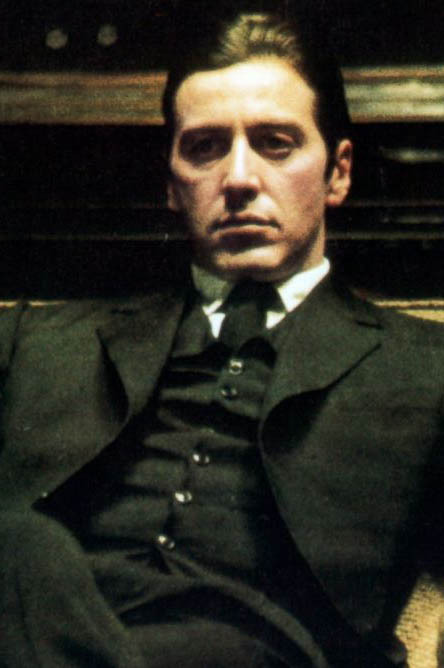 In the beginning of the film, Michael Corleone, unlike his brothers, wants nothing to do with the Corleone “family business.” He wants to lead a more “Americanized” life instead. His father does not want Michael to be involved in family criminal affairs either. When the United States enters World War II, Michael drops out of College and enlists in the Marine Corps. During the war, Michael is promoted to the rank of Captain and awarded the Navy Cross. What do you think his SUPER OBJECTIVE or spine for the entire film was? At the first glance, you may assume that his main goal in life is to pursue a carrier in politics or to seek love. However, if you explore the film further, you’ll see that his relationship with his father is very important to him. After the attempted assassination of his father by rivals, Michael steps in to protect his father, arriving at the hospital where wounded Vito Corleone is kept alone, without any security guards or police. In this movie, Michael’s SUPER OBJECTIVE is to make his father proud of him. Throughout the film, he follows this SUPER OBJECTIVE. (4) Let’s take a look at one of the classics: Oscar Wilde’s play, The Importance of Being Earnest. We have a story about two men, Jack Worthing and Algernon Monscrieff. They feel that their lives are boring, so they decide to invent a virtual brother named Ernest. Jack uses the name “Ernest” to spend time with his love, Gwendolen. At first glance, Jack’s overall objective is to escape the boredom of everyday life and have fun. But let’s look deeper. In the one of scenes, Jack confesses his love for Gwendolen and asks her to marry him. She accepts his proposal because she’s always dreamed of marrying a man with the name Ernest. This tells us that his SUPER OBJECTIVE is to get Gwendolen to fall in love with him. Throughout the play Jack has followed this need for life. (5) In one of the first scenes of Robert Benton’s 1979 film, Kramer vs. Kramer (nominated for eight Academy Awards, winner of five), Ted Kramer, played by Dustin Hoffman, is making breakfast for his young son, Billy. His wife has just left him. What are the two objectives in the scene? In most film and theater scenes, a SCENE OBJECTIVE is the “text” and the SUPER OBJECTIVE is the subtext—what that scene is really about. Hence, the immediate SCENE OBJECTIVE, which is generally the most obvious and easiest to direct is for Ted Kramer to make breakfast for his frightened son, Billy, and to keep his spirits up. But, what is the SUPER OBJECTIVE in this scene? His SUPER OBJECTIVE is to successfully manage the new reality of being solely responsible for his son. I want you to put your arms around me. I want you to kneel down in front of me. It is relatively easy to understand what the OBJECTIVES tool is about; the main challenge lies in the application of this method. Often, people choose objectives that are too general, vague, ambiguous, uncertain, or call for a result. You can see this in low-grade movies or amateur theater performances. Have you ever noticed actors do or say something that makes them look like they don’t know what they want? This happens because the actors are not focused on their objectives, or given directions are too uncertain, or they don’t have adequate training to do so on their own. Giving an OBJECTIVE that is too general is a recipe for killing a performance. Vague and unclear OBJECTIVES diminish acting. Another important requirement for giving OBJECTIVES is that they should not contain any emotions. The objective must lead to an action or resistance, and must be as specific as possible. (1) Your wife left you. (2) Your dog passed away. (3) You did not pass the exam, but there was not a lot at stake. (4) You did not pass the exam and it is everything was at stake, for example—you might now be homeless. (5) You got sick with a deadly disease. I could continue this list of reasons for being “upset” to infinity, but the point is that this direction is extremely unclear and imprecise. It does not work because it is too general and vague. Although many changes and sets of circumstances may look the same—causing someone to be upset—they will all invoke different emotions and feelings. The audience may feel the difference subconsciously. The list of life situations could be even longer. Entirely different facts or back-stories will lead to the distinct look and sound of the scene. Thus, a proper OBJECTIVE must be simple, specific, clear and unambiguous. There’s one major difference between acting and the behavior of an ordinary person. In everyday life real people can have many objectives together, and can blend many types of emotions. But actors are trained (or should be trained) to focus on only one or two objectives at a time. This means that actors live their lives on the stage more purely and deeply than we live them in a real life. Subsequently, the emotions and feelings of the actors will be more saturated, bold and bright. This is the reason why we often have tremendous performances in theater and film. Stanislavski said that actor’s performance borrows only certain main elements from real life, just as a painter copies certain things from reality. Actors imitate life-like situations, as paintings do: not by grabbing everything, but by grabbing the most important details. Therefore, naturally solid acting is not just copying real life, it is portraying its most important elements.